You can change these in the TSAConfig found in the game's folder, or using the in-game options menu. There are a total of 3 "game" items available for download, located below the game information. 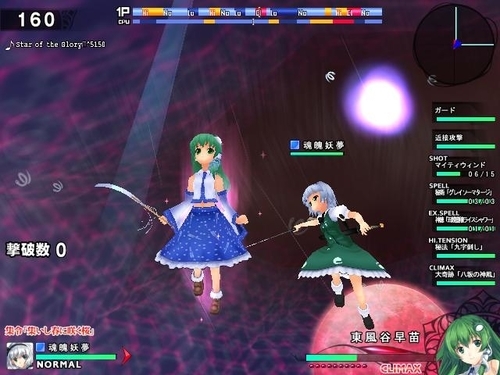 * Touhou Sky Arena -Hayate- (the original game) and Touhou Sky Arena -Kurenai- (the sequel) are individual, standalone games, which will each work fine by themselves if you like. 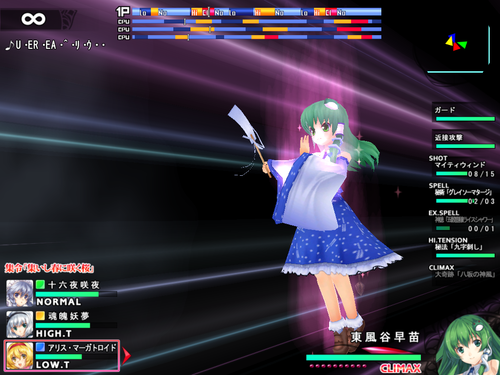 However, having both is necessary if you want to link the games (thereby creating Matsuri). 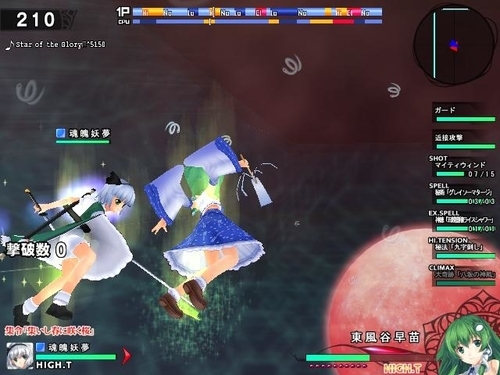 * The third item, Touhou Sky Arena -Matsuri-, is a game-linking patch that links Hayate to Kurenai, in effect forming one cohesive game; thus it requires you to have both games to work. 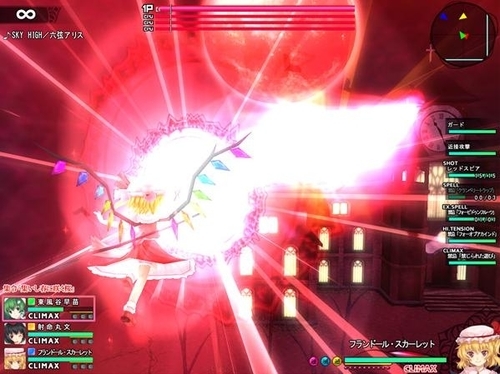 To alleviate confusion, think of the process as a synthesis you'd do in a video game: Hayate and Kurenai are the base materials, and the Matsuri patch is what you actually perform the synthesis with in order to link the two games. 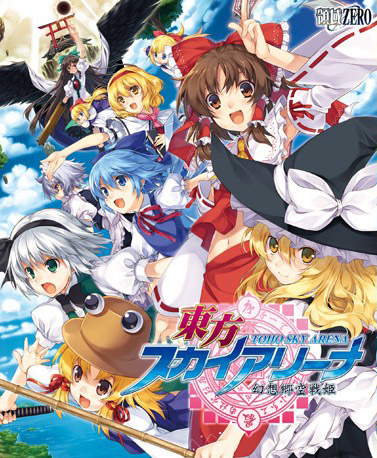 * The individual games must both be formally installed for the Matsuri patch to read them; therefore, to enable you to create Matsuri, we cannot follow our usual extract-and-play format for Hayate and Kurenai - instead, in each game's download, what is provided is the game's installer and a bulk update patch that will bring that game fully up-to-date. From the top to the bottom of the picture seen on the right. Control: Set to 1P-4P, CPU, or an empty slot. 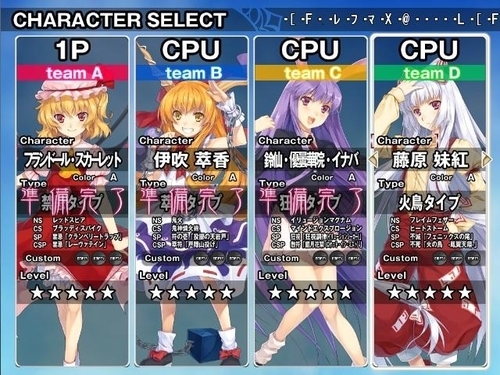 Team: Set to Team A, B, C, or D.
Character: Choose from the available characters, or pick Random. 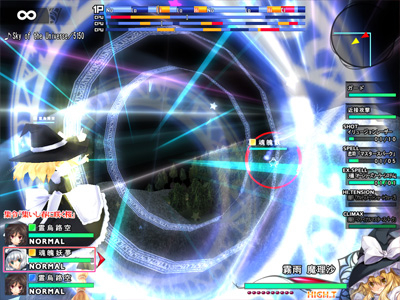 Type: Either shot type A or B. 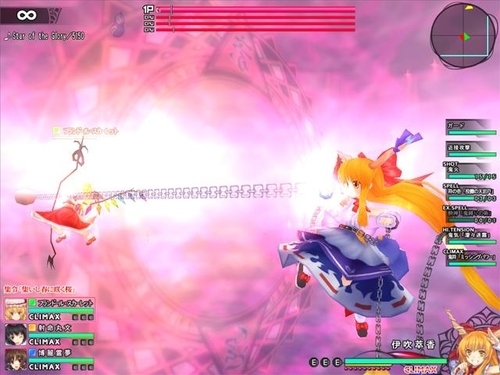 The only real difference between the two is the Ranged Attack (X) and Spell Card (A+X). This includes charged shots which are done by holding down the corresponding button(s) and letting go. Level: Set the handicap. More stars equals more health. Arcade: Basically Story Mode; you play through that character's story. 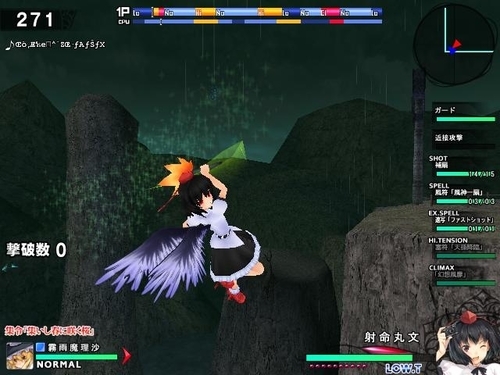 Sky Adventure (Matsuri Only): Each time you clear a stage, you get to pick from 2 places you want to go next. Vs: Select 1-4 players to fight. You can set teams or have a battle royale. Network: Play with other people online through the internet. You can host locally, or connect to the FlyNetwork System lobby. Survival: Fight endless battles which get harder with each victory until you're defeated to see how long you can survive. Tutorial: A ticker near the bottom will display various commands and teach you how to play/fight. 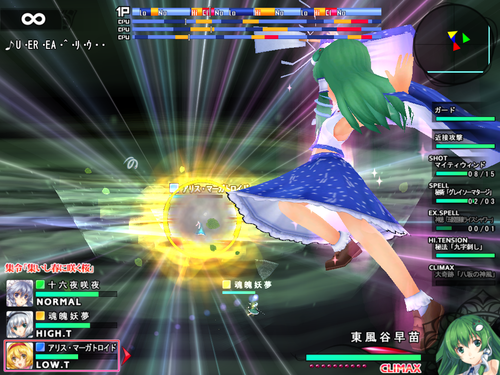 Training: Set CPU actions and difficulty and practice with them to get used to the game. Play Recording: Keeps track of certain game statistics. Options: Adjust a few in-game settings. Exit Game: Closes the game. 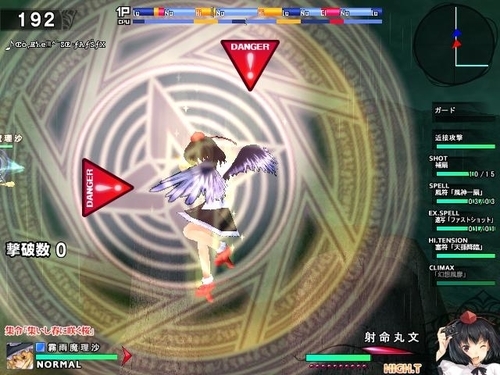 Each BGM possesses its own unique tension meter. Tension level affects play by enabling or disabling different abilities. As time passes, a little bar passes through the meter, indicating where the tension level currently stands. This process repeats when the music loops. 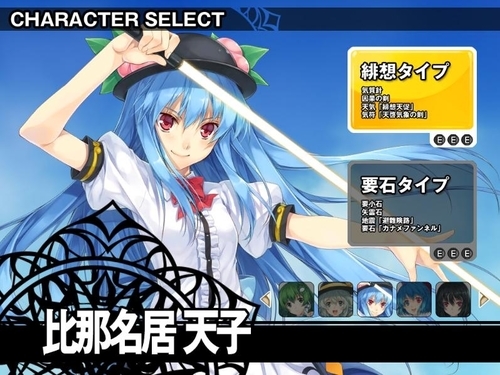 * Characters have access to their typical ability set, minus the specials mentioned below. 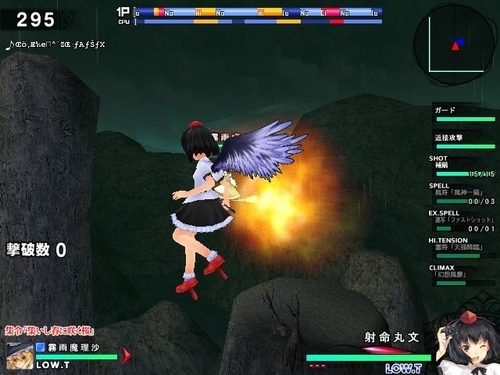 * Unlocks High-Tension & Climax abilities. This is a game-linking patch program. 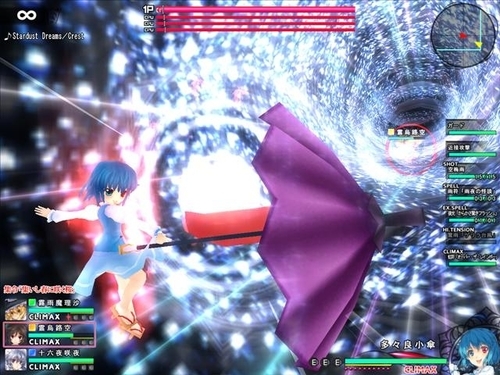 It performs the linking of Hayate and Kurenai (below). 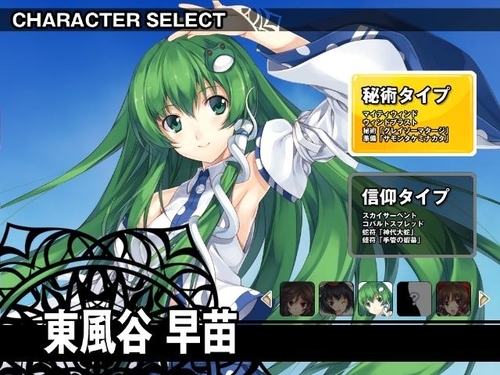 including all characters and stages. 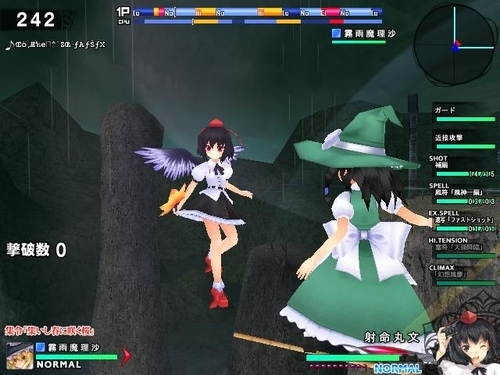 It also makes Sky Adventure mode available for play. This is a tool and hardly contains any content itself; it merely performs the synthesis. before this patch can link the two games together. If you don't have both of them, download them below in their subsections. This is pretty easy to use. It should find both the component games just fine by itself if both are properly installed on your system; you can just tell it to go ahead and perform the linking process. It's important to note that once the games are linked, you can no longer play them in an un-linked manner (although, why would you want to do that when you have full access to everything this way?). So What Does It Do? Where's the Matsuri Folder? 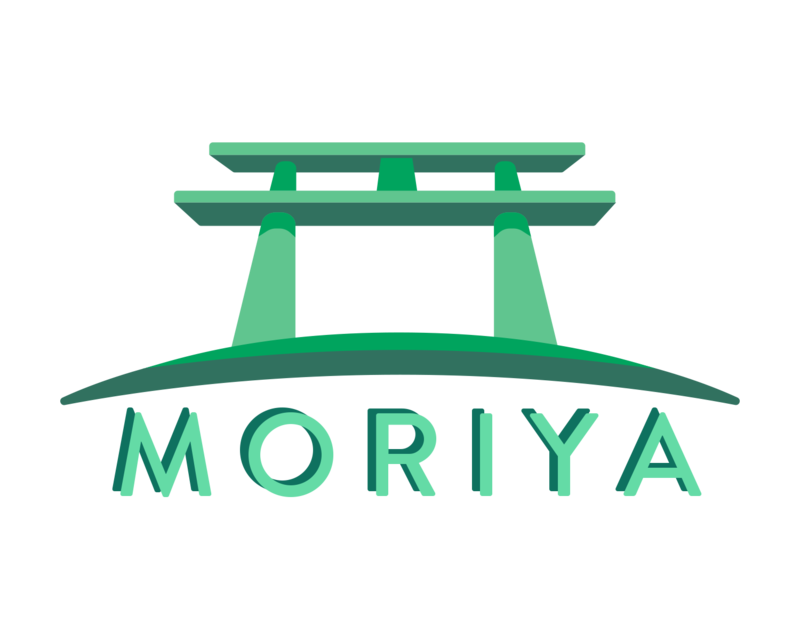 You won't have a combined Matsuri folder, nor an official Matsuri executable, when the merge is done; both of the component games will still exist in their usual folders (so in a physical, folder-visible sense, the games remain separate). 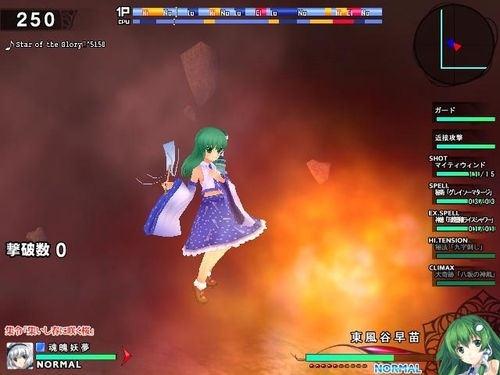 Instead, what happens is, Matsuri will replace the individual games' executables with ones that are capable of reading data from the other game's folder on a technical level. Well Then How Do I Play Matsuri? 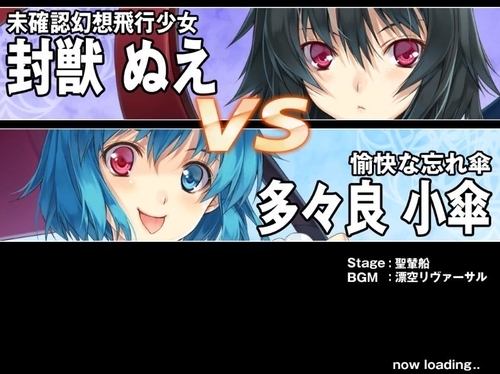 You just run either Hayate or Kurenai with one of their newly-replaced replaced executables, and if everything was done correctly, Matsuri will automatically take over from there. The only difference the chosen executable makes is which opening video you'll see when you open the game. 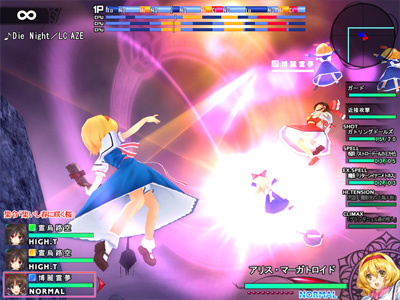 Matsuri's title screen, combining the two component games' title artwork. 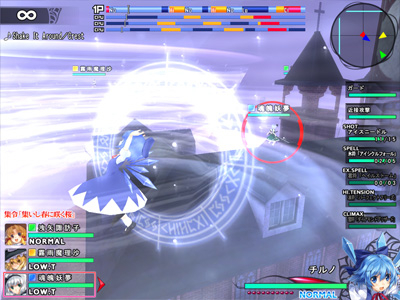 Note the "Matsuri" subtitle as well; these things indicate a successful merge. 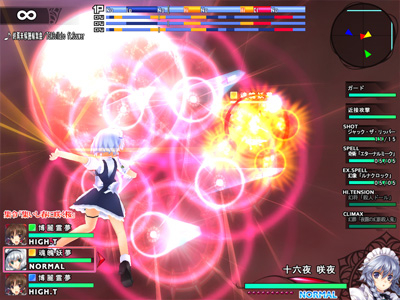 Hayate's title screen, with standalone art. Note it has no subtitle, as it's the original game. 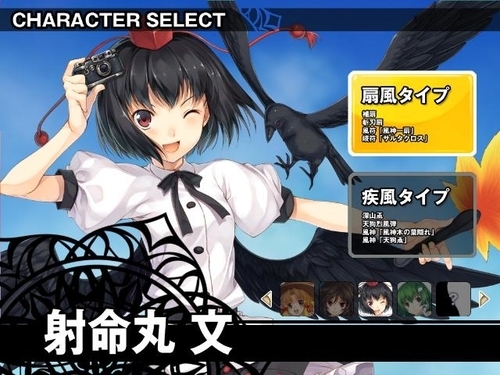 Kurenai's title screen, with standalone art. 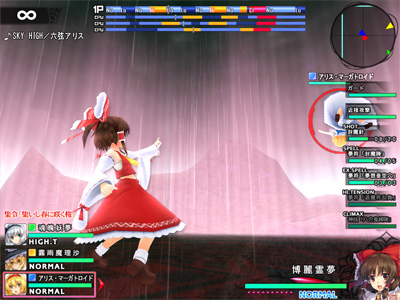 Note the red "Kurenai" subtitle. it will work fine by itself. you need to create Matsuri. I get this weird white screen whenever i run each game, Can someone help me?